Is there anything new for counter tops? Yes! I hear this question all the time and this year I can answer yes. We don't just want new, we also want better right? You want style and performance. Lapitec does both and some pretty dramatic ways. Sahara shown in the Lux gloss sheen level. The under mounted sink shows off how in some cases 2 cm material will bring the sink up closer. Instead of the deep 3 cm thickness many of us come to expect. Of course you can always use 3 cm in this color way but this is a nice change in look. A built in drain system. 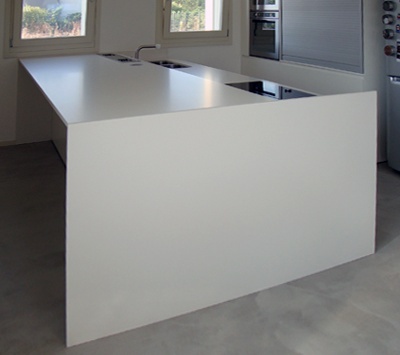 Lapitec has "Through body color" so finished edges will look the same as the face of the material. Stairs clad in bianco polar Lapitec. This material is so durable you can use it on stairs, the floor or even clad the outside of buildings. For a timeless, sleek interior. Because of the sizes of the slab material you have the durability of a porcelain tile without the grout lines. Why is this so different from stone or quartz? This is produced using natural minerals without any resins or petroleum products. This provides a material that's incredibly heat resistant, up to 2,500 degrees. Quartz on the other hand has quite a bit of resin and shouldn't have hot pans rested on it. Over 200 degrees or so you have reached the limit with quartz. It is simple to maintain and is resistant to: mold, bacterial, acid, solvent resistant, non-flammable and frost resistant. You can use it around fireplaces or out doors. It is insensitive to UV rays. I covet the green egg but still don't own one. This is a porcelain material that cooks at a really hot temperature. This counter top material is perfect to come this close to the incredible heat. This was a display at the famed Chelsea flower show. The material was mitered to create a thick edge. The top is a satin texture but the sides are done in the same color just the vesuvio texture. I like mixing textures and they offer 4 different varieties from smooth to really rough. The fossil is probably best used on an exterior wall. I am seeing so much interest in waterfall ends on islands or really an exposed end instead of the finished end of a cabinet. It really grounds the room and is super easy to clean. I like the fit and finish of the accessories in this picture. This shows the satin finish off really well. People really like the feeling of soap stone, it has this soft quality and sort of warm. This is the first alternative that feels the same way, at least to me. This product is one of many that you might consider. No one material is right for every project. Each is different, but this is a new option worth considering. We have samples in our office if you're curious to see what it looks and feels like. 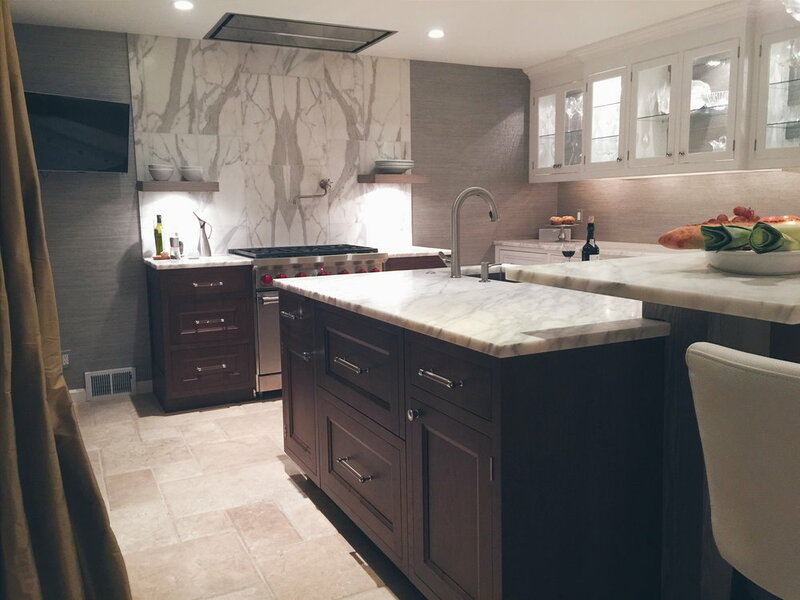 I attended a seminar last fall that brought together new ideas about kitchen design, from materials, layouts and integrated technology. Much of the discussion came from kitchen design shows in Italy and Germany. One of the concepts I found interesting was leaving out corners, just leaving space. This sounds odd and in reality this works if you have a large space I do see clients that are including another room into the existing kitchen area so this concept does have possibilities. In a future blog I'll have pictures of a project that has no inside corners and incorporates many of the themes of the European design shows. Mixing textures and colors has already been popular and won't be fading anytime soon. Technology may seem like an extravagance in the kitchen but why if we have smart phones and sonic toothbrushes would integrating technology be a a stretch?. Enabling different ways cabinets open, the way a faucet works or lighting that comes on inside your cabinetry just makes life easier. Bringing the living space into the kitchen with causal seating and flexible movable pieces make socializing with the entire family much simpler. If you have an interest in kitchen design trends for the future, I've included a video of the Eurocucina kitchen design show. It's really worth watching. I hope you enjoy and I'd love to get your feedback so please comment and share. Here's to the future! Cheers. 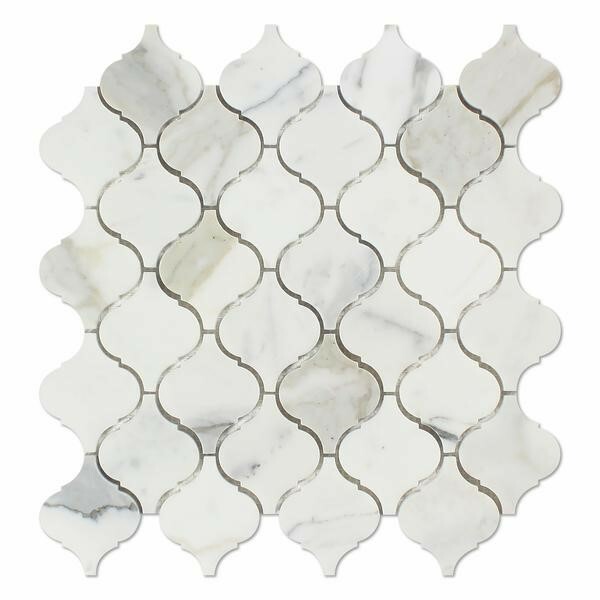 Do you ever wonder how much the size of a tile or stone, or even the shape can help create the entire feel of a room? I love this vignette that demonstrates the different feel in the same tones and how scale effects everything. Also notice the sheen level of each different tile and stone tile, are they casual or formal to your eye? I like to use large tiles in small rooms for a larger cleaner feel. With any size tiles you can develop a pattern that tells a modern or traditional story. Small tiles with sheen or transparency can make you feel like your at the ocean. Next time you look at a room in your home, think about not only how you may want it to look but how you want it to feel. Where will it take you, the ocean or a bistro? Thank you to Statements Tile and Stone for this great display.